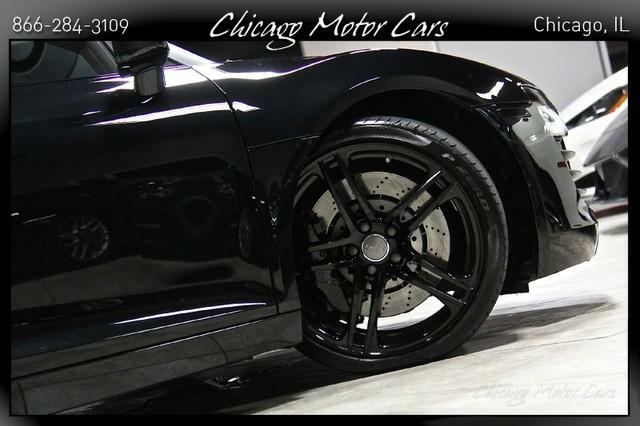 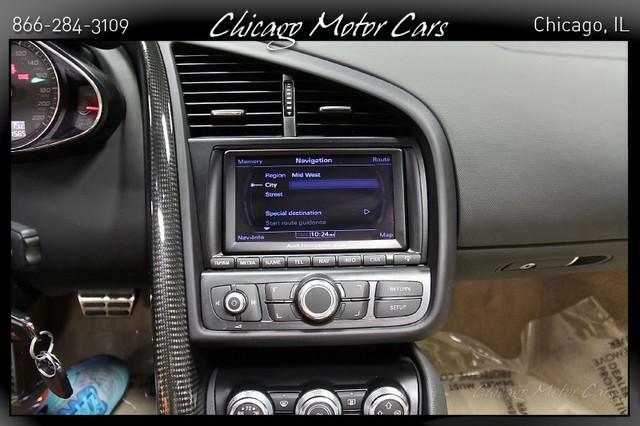 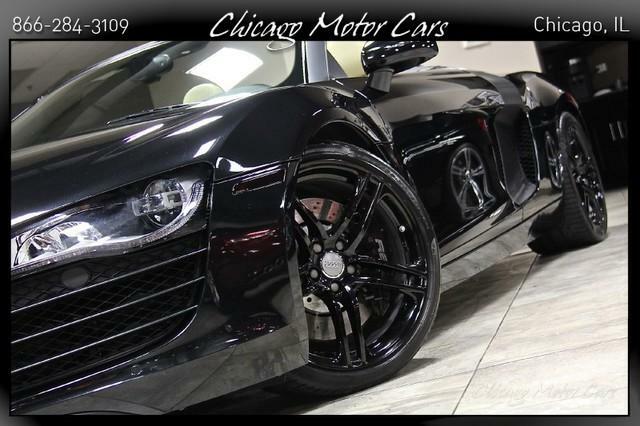 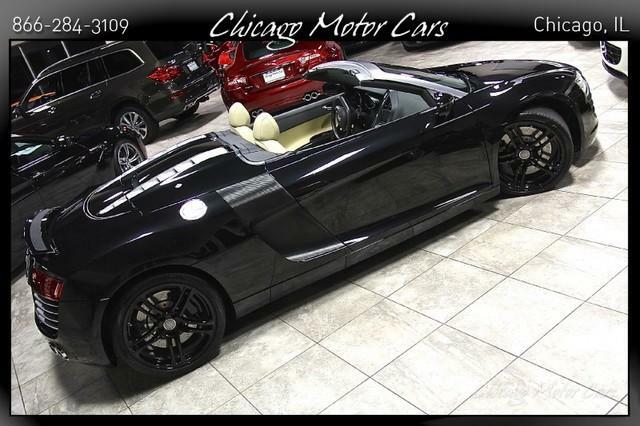 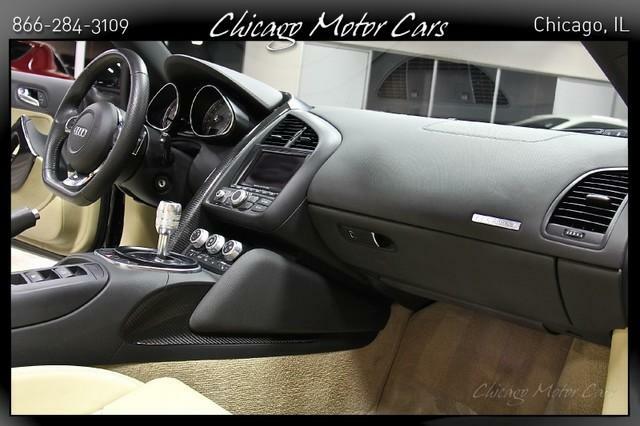 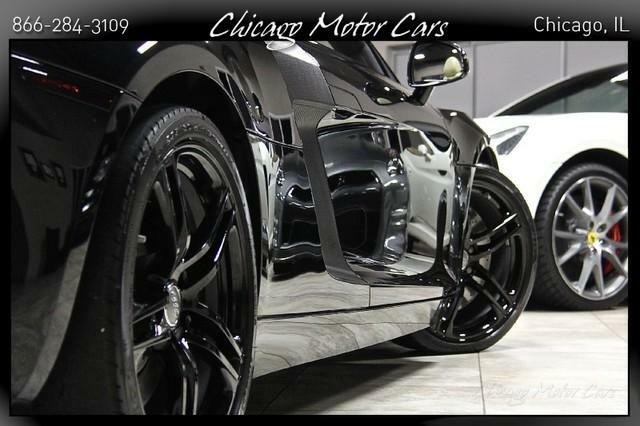 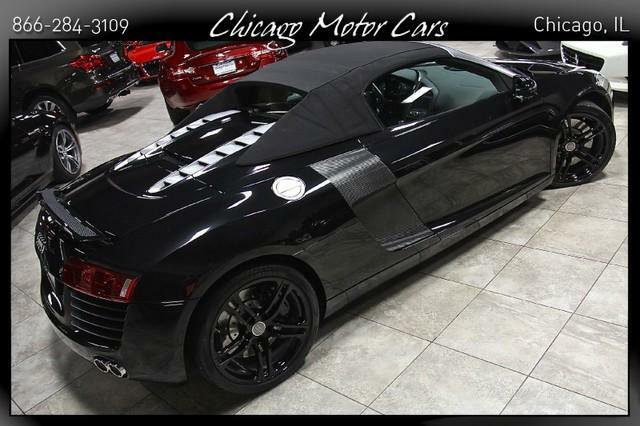 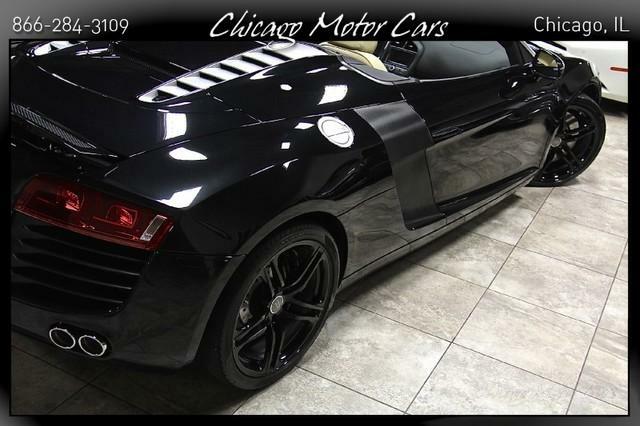 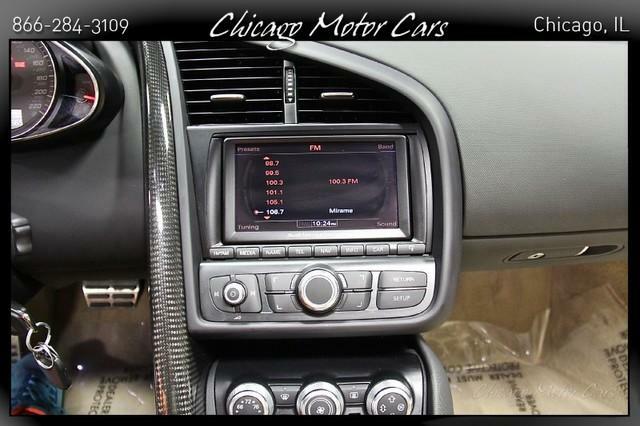 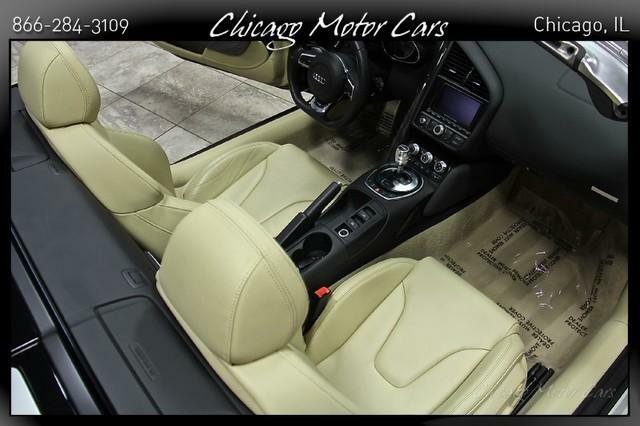 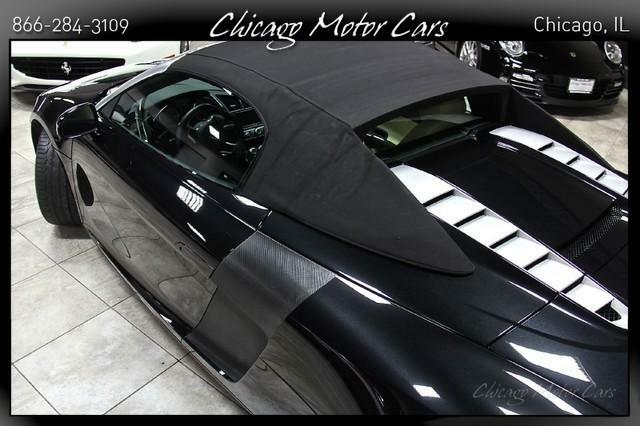 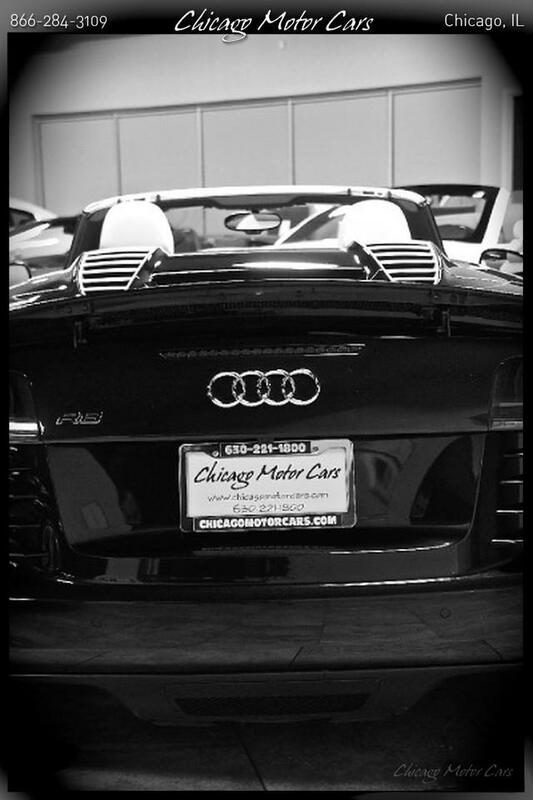 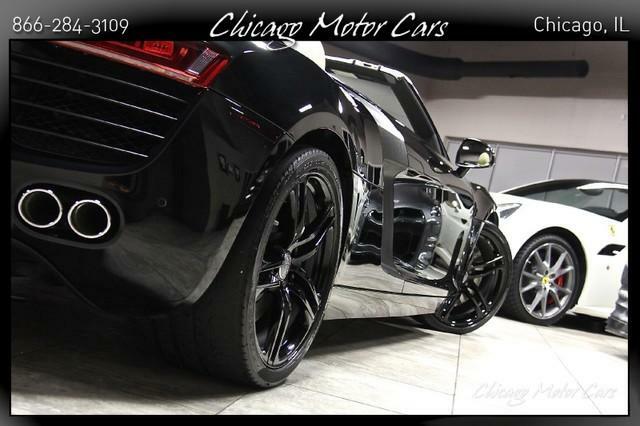 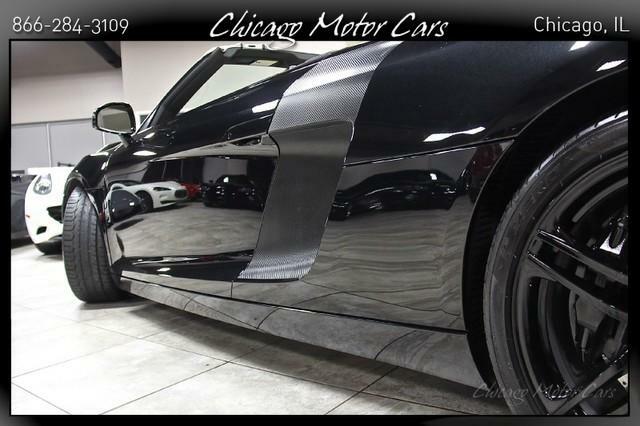 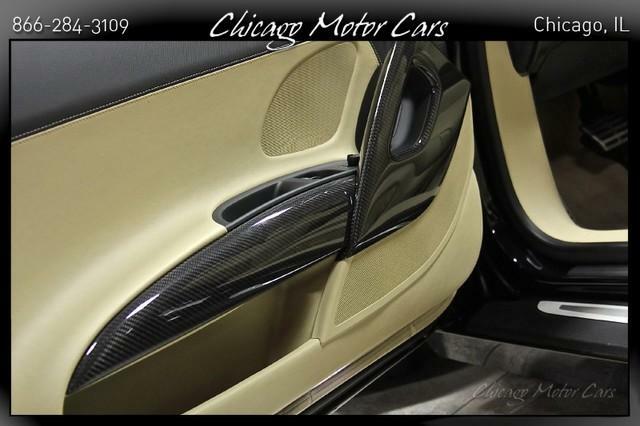 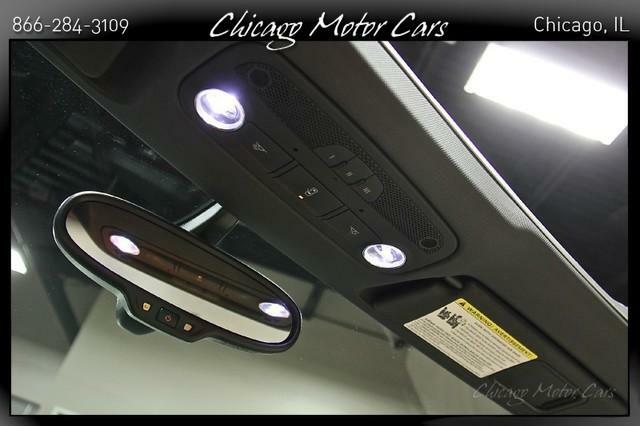 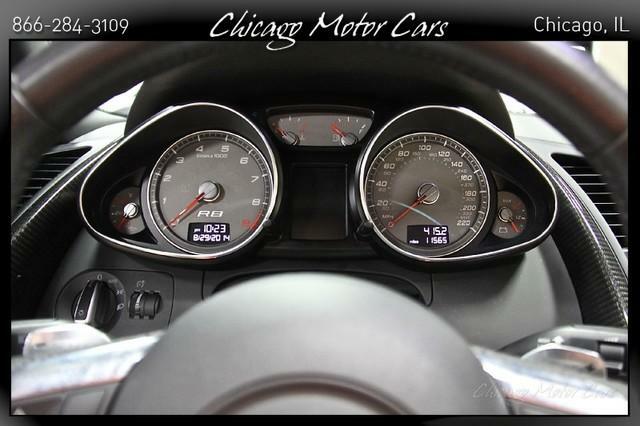 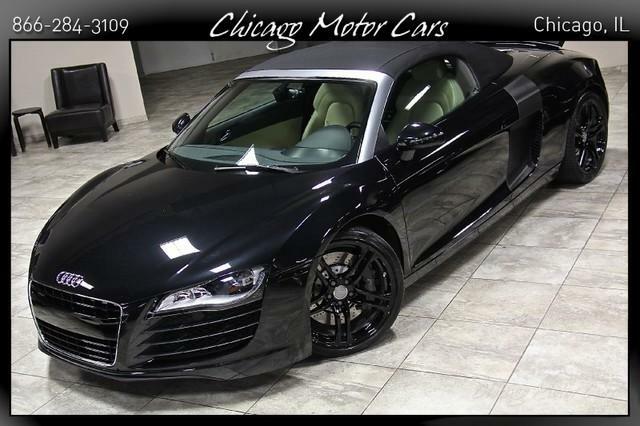 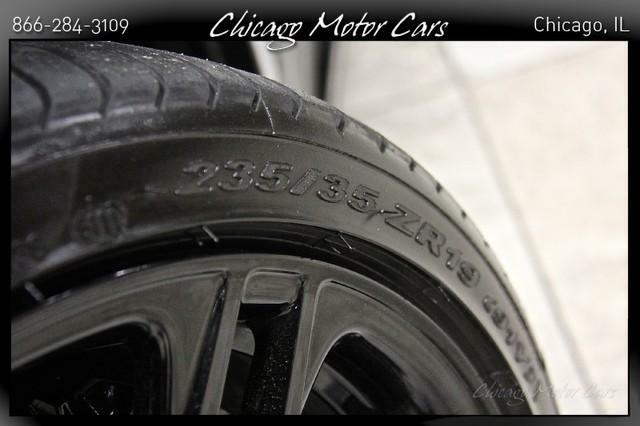 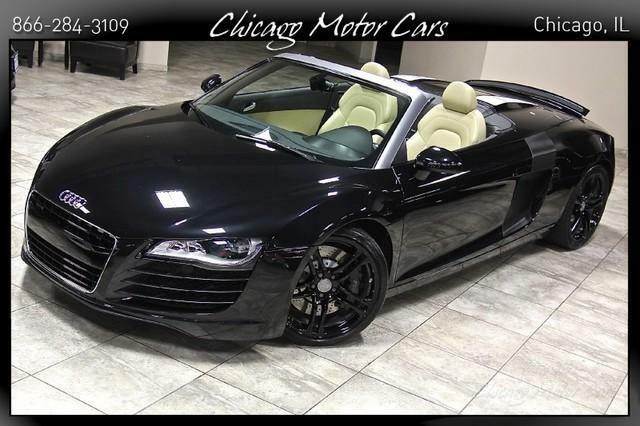 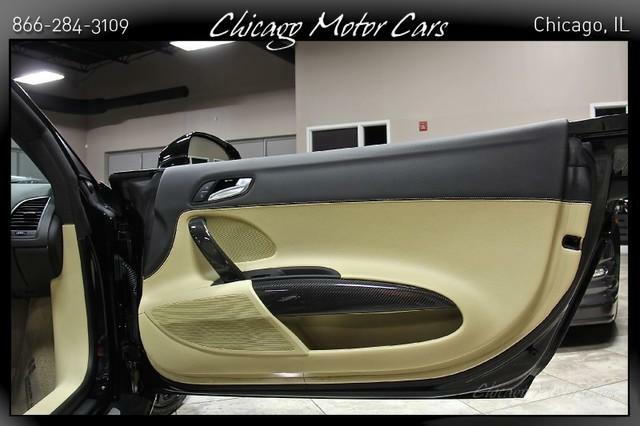 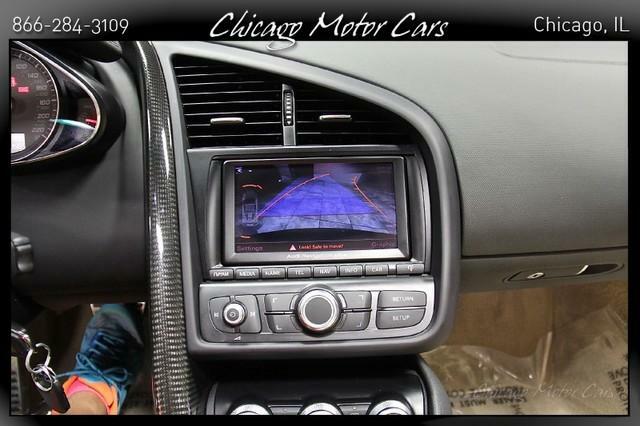 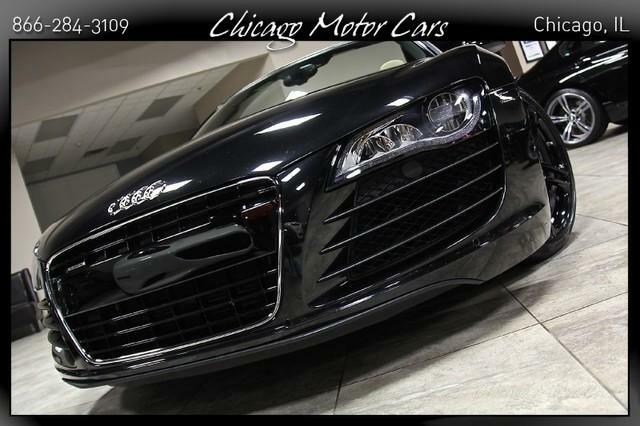 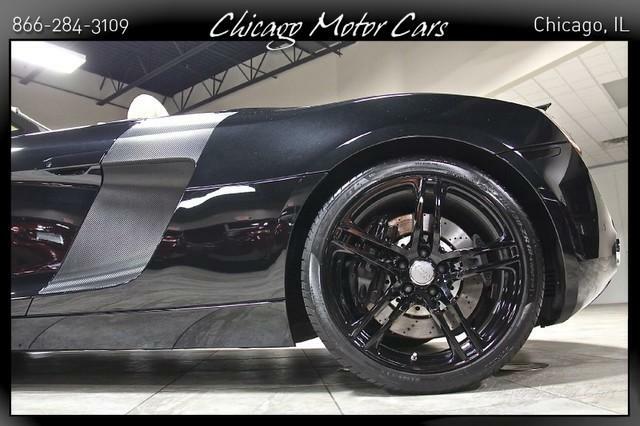 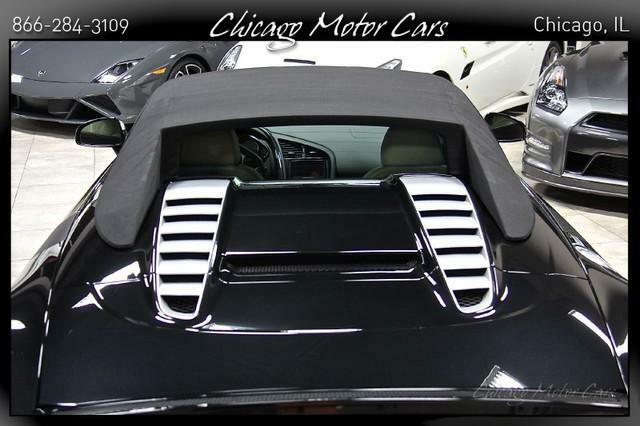 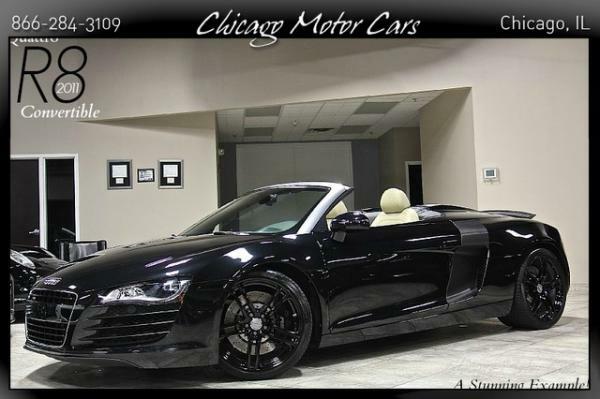 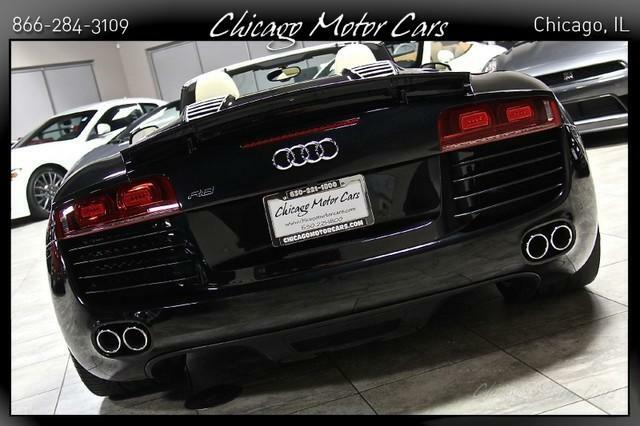 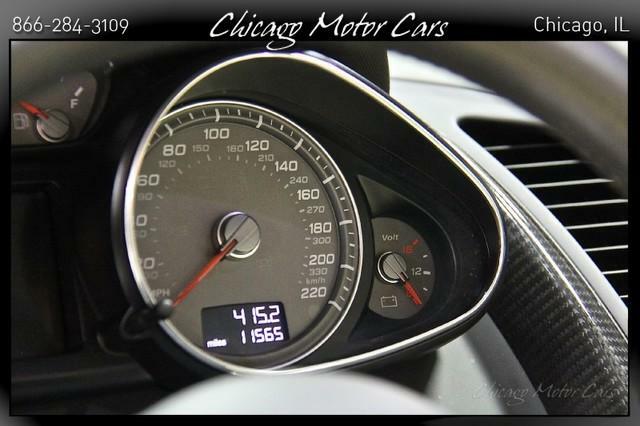 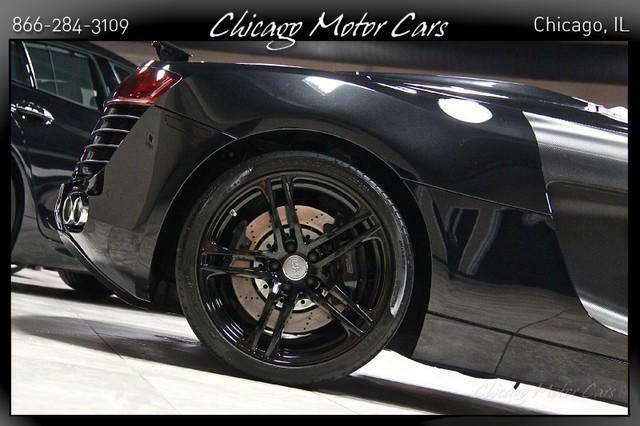 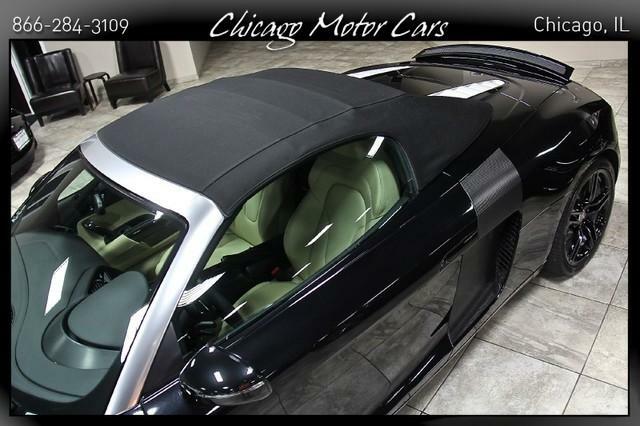 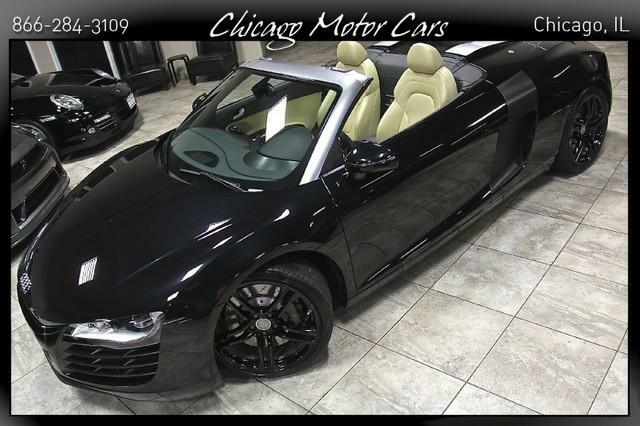 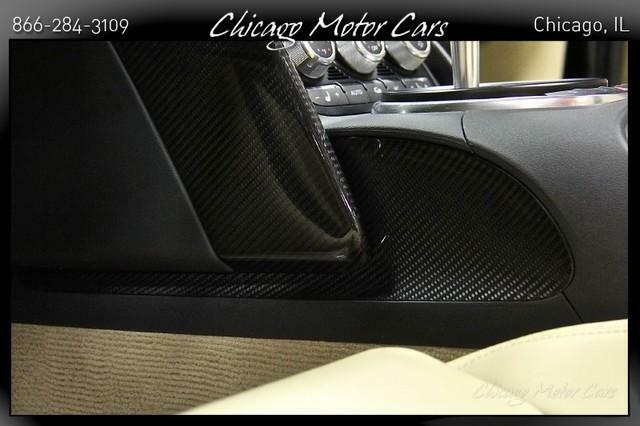 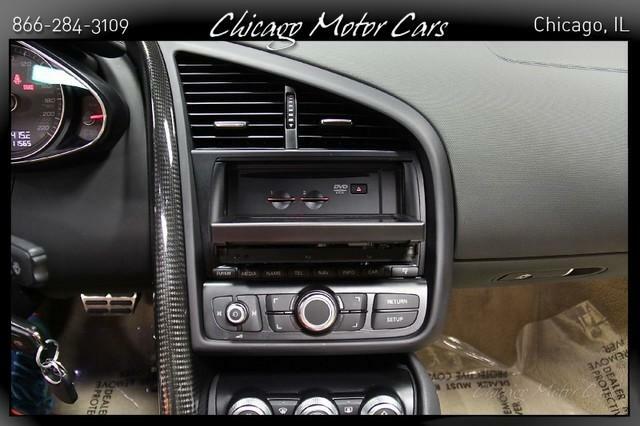 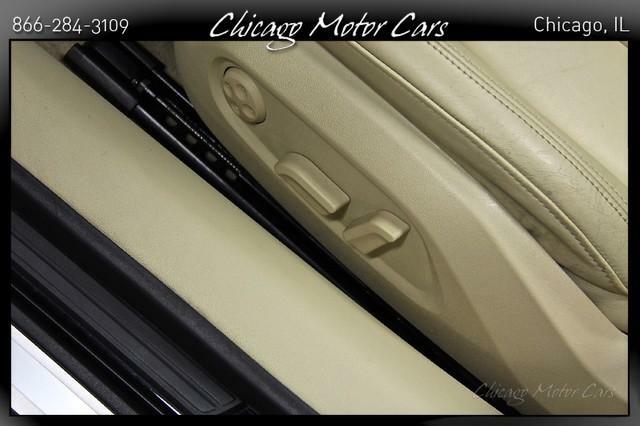 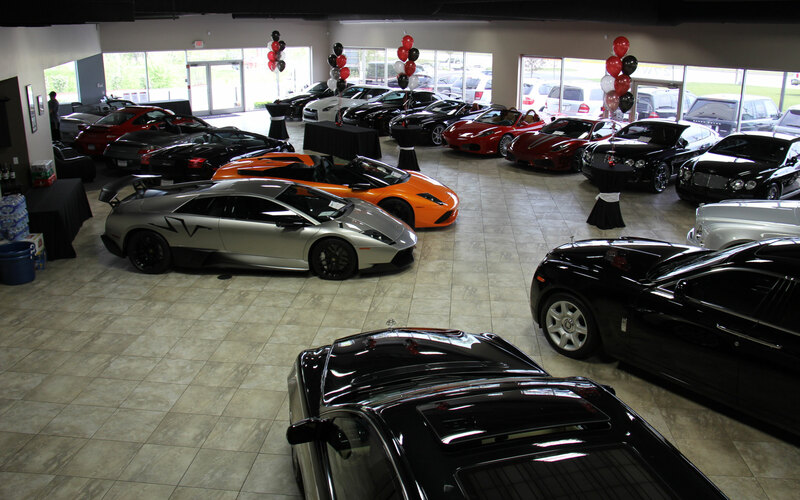 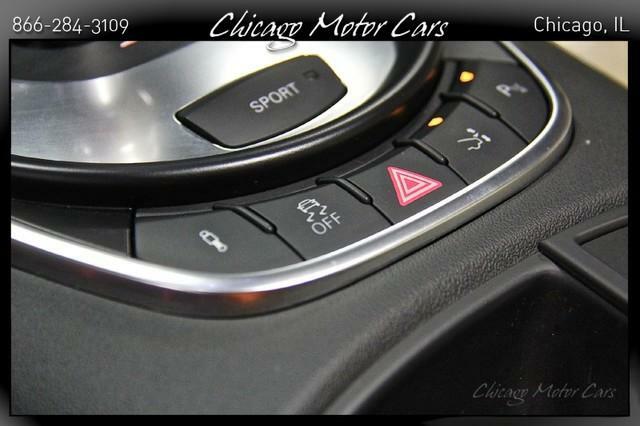 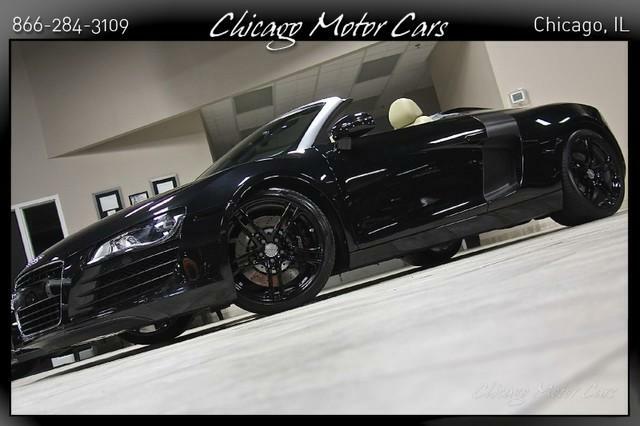 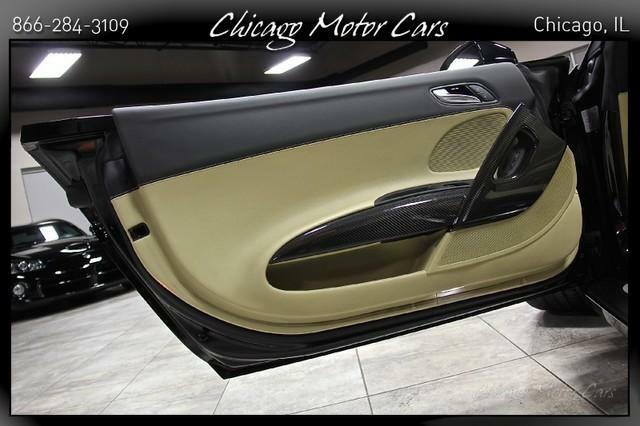 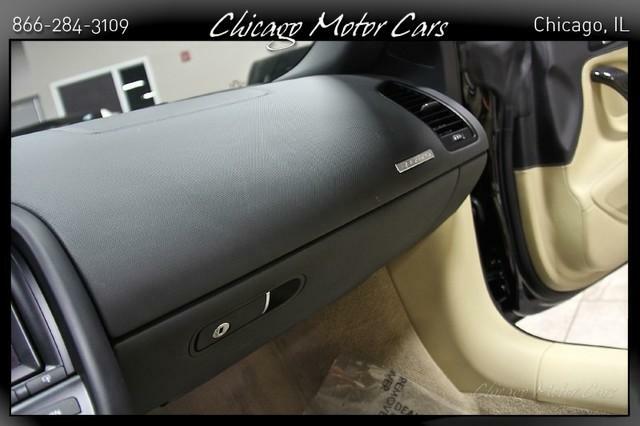 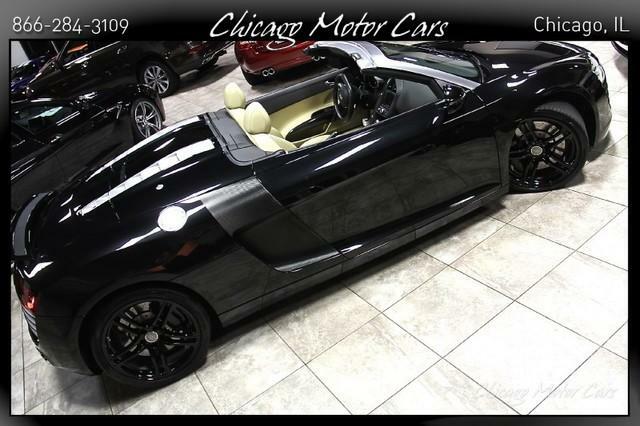 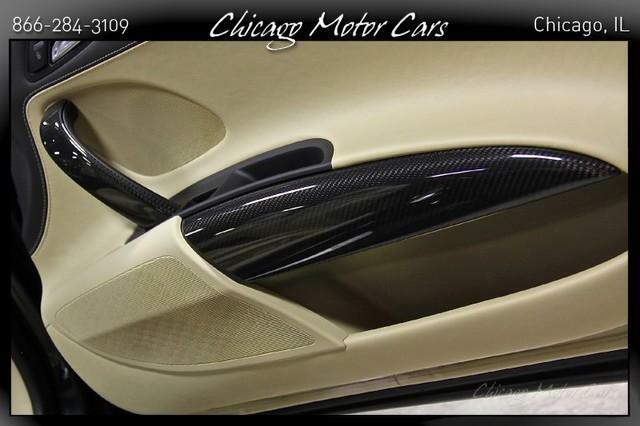 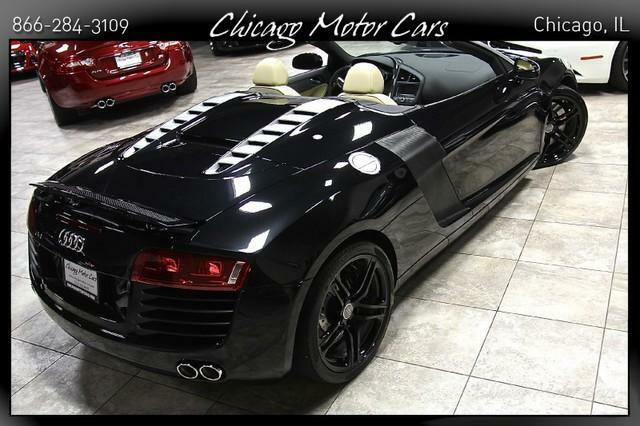 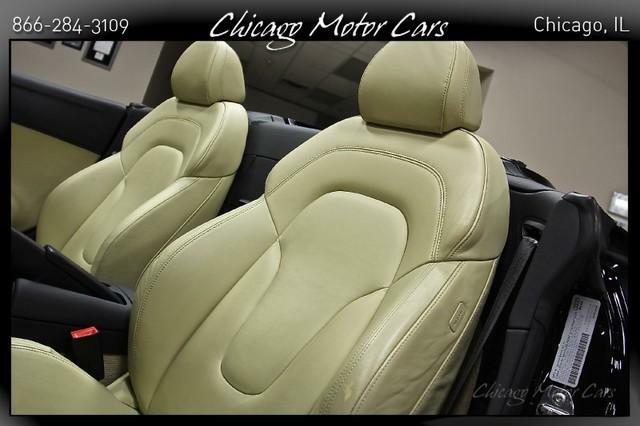 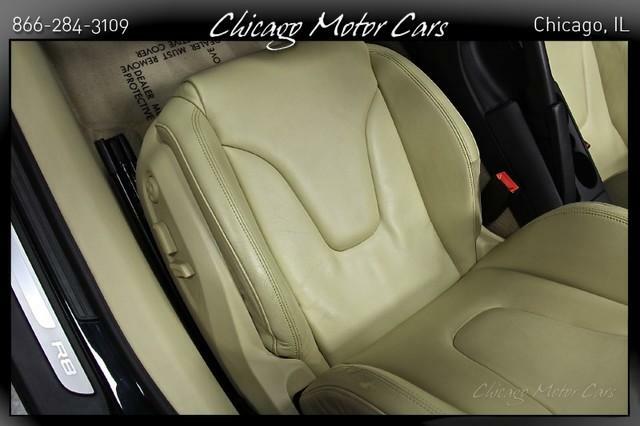 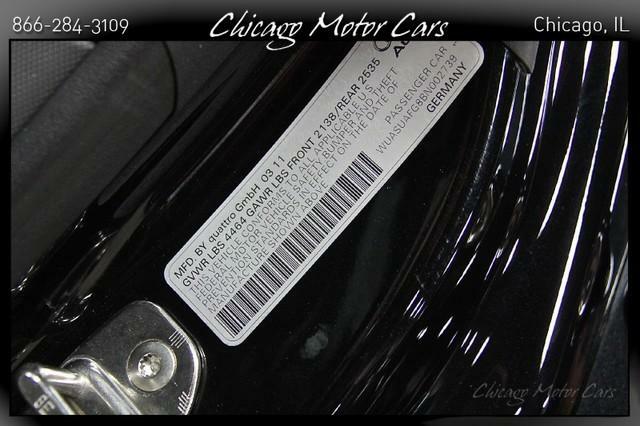 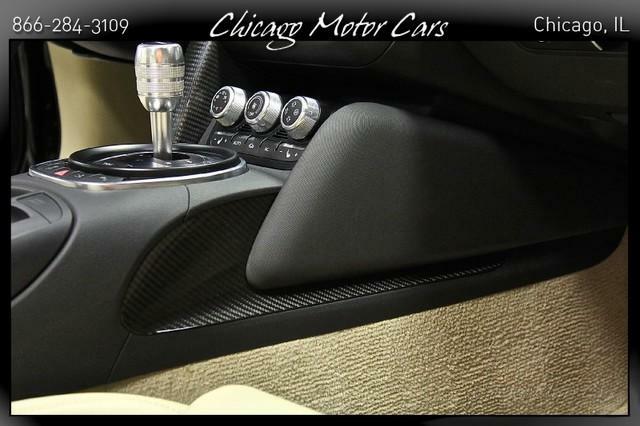 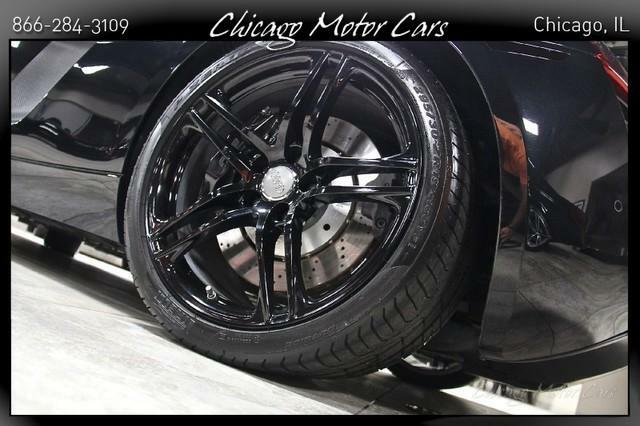 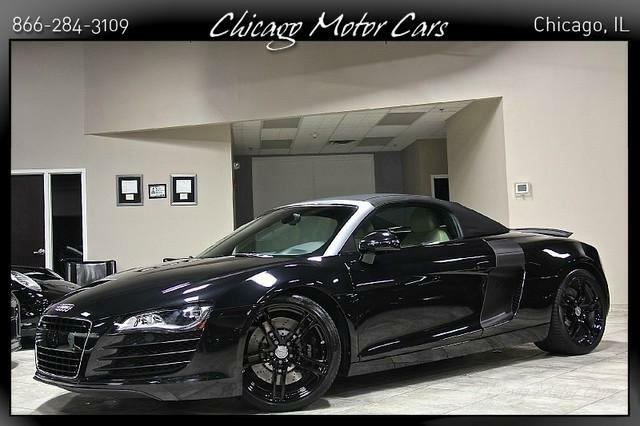 2011 Audi R8 Spyder 4.2L V8 Quattro R-Tronic Phantom Black Pearl Effect with Luxor Beige Interior CARBON FIBER SIGMA! 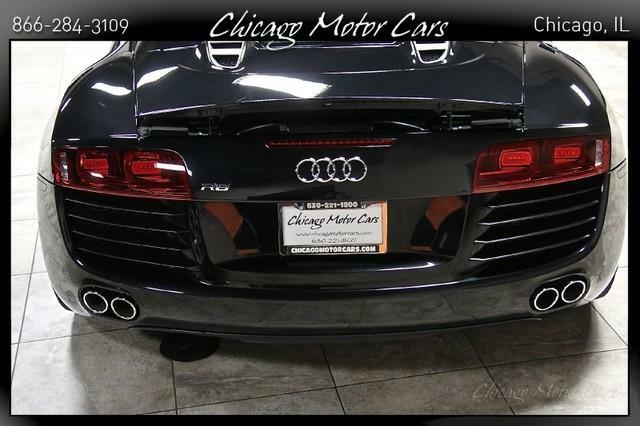 CUSTOM EXHAUST! 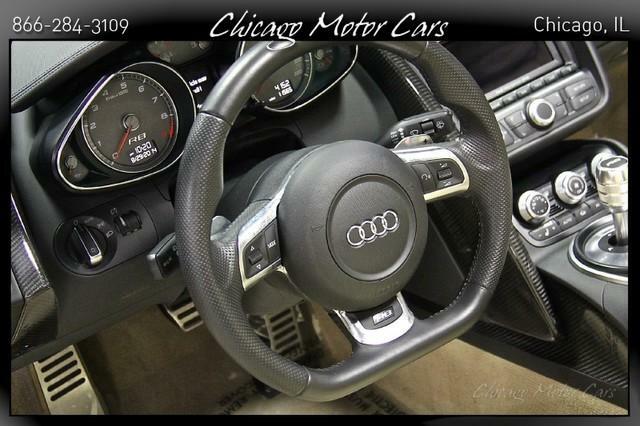 Factory Options: R-TRONIC TRANSMISSION CARBON FIBER SIGMA INTERIOR INLAYS 19INCH BLACK ALLOY WHEEL AUDI NAVIGATION SYSTEM PLUS W/AMI MP3 PLAYER AUXILARY INPUT CD PLAYER AM FM STEREO LED HEADLIGHTS/TAILIGHTS BAND AND OLUFSEN SOUND SYSTEM AUTOMATIC CLIMATE CONTROL HEATED 10 WAY POWER SEATING SIRIUS SATELLITE RADIO CRUISE CONTROL QUATTRO ALL WHEEL DRIVE Included Accessories: COMPLETE OWNERS MANUAL SET! 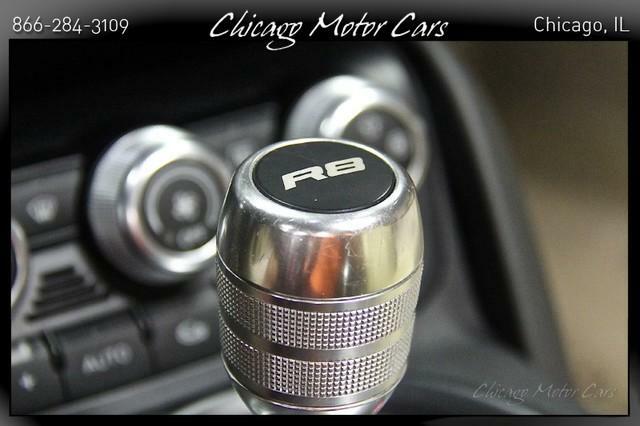 2 REMOTE MASTER KEYS!